There are a wide range of finishing effects available for your oak flooring, each one giving the wood a unique look and feel. When it comes to choosing the right oak wood flooring for your home or office space, there are many important aspects to consider. One of these is the type of finishing effect for your floor. There are a wide range of finishes available, each one giving the oak wood a unique look and feel. Here are the different finishing options available from Oak Floors Online: 1. Lacquered Finish This process involves treating the oak with a UV lacquer, which sits on the surface of the board and gives it a smooth, glossy appearance. 7 coats of UV lacquer is applied to the surface of the oak after sanding, along with an Anti-Scratch coating for further protection. achieve this, the surface of the oak is brushed to remove softer fibres from the grain, leaving the board slightly textured. Then a natural oil is applied to the surface to enhance the beautiful grain feature of natural oak without darkening the shade of the wood. One advantage of this finish option is that scratches are not as visible as with a smooth surface, and those that are can be easily repaired by sanding the affected area and applying another coat of oil. Another is the fact that by adding another coat of Waxoil to the surface you can achieve the ‘best of both worlds’; a factory quality finish in the colour that you want. 3. Double Brushed and Dark Oiled Although this process can be more expensive and time-consuming than the standard brushed and oiled finish, the results make it a worthwhile investment. Using slightly darker oil greatly enhances the oak’s natural features and gives an authentic, ‘antique’ look to the wood. This finish is particularly popular with areas that see a high volume of foot traffic, such as bars and restaurants, as scratches are not as visible as they are on some other finishes. 4. Unfinished This is a very popular finish as the board can be installed, and then finished however the owner sees fit. The wood can be painted, oiled or lacquered to create a tailor-made appearance specifically for you. This allows you to choose whatever finish you desire, whether it is to match something within the room already or simply to create your own little bit of uniqueness. Whichever type of oak floor finish you choose, it is important that you buy from the right supplier. Oak Floors Online specialises in top quality oak flooring and prides itself on over-delivering when it comes to customer service and quality of product. 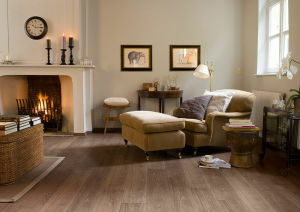 A recent survey revealed that 96% of their customers would recommend Oak Floors Online to their family and friends. What’s more, Oak Floors Online are the only retailers in the UK to offer a lifetime quality guarantee on all of their oak floors. This means that, should you experience any problems with your floor at any point, and those problems are proven to relate to a fault within the structure or quality of the product itself, Oak Floors Online will replace the entire floor, no questions asked. For more information about Oak Floors Online, or to browse their range of oak wood flooring, visit the Oak Floors Online website at http://www.oakfloorsonline.co.uk/.